• Size : 4.52 x 1.41 x 0.78inch . • Weight : 3.95oz . 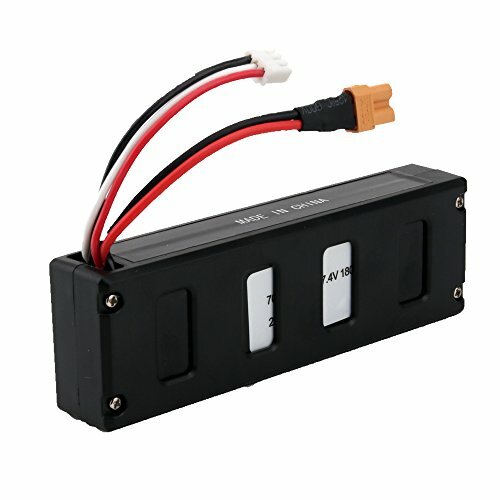 • 1 x 7.4V 1800mAh LiPO rechargeable battery Direct replacement, no modification needed! Package included:1pcs 7.4v 1800mah battery（XT30 Plug). Suitable for MJX B3 Bugs 3 Force1 F100 Contixo F17 RC Drone. This product is made from high quality materials and it is designed for lasting performance.